Most people have heard of Reddit.com. Reddit is a social news website and forum where stories are socially curated and promoted by site members. The site name is a play on the words "I read it." Everyone can browse thourgh a vast amound of topics (e.g. /r/movies/) and read news, user stories and much more. 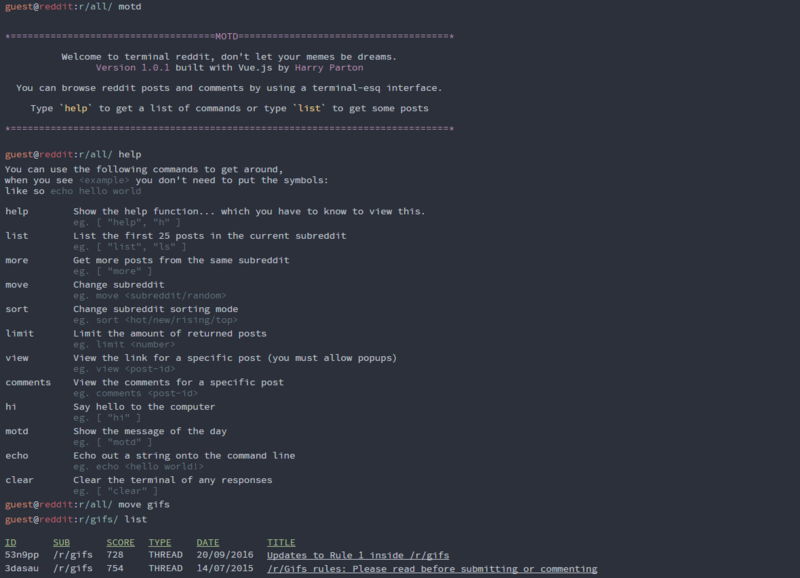 Now using this online terminal-based interface, you can browse through the same topics using a list of commands, built with Vue.js. You can browse through the terminal, here. Created and submitted by Harry Parton.